That is more than a philosophical question, but an imperative question for any organization, church, or individual to answer. What's is my purpose in life? The Campbellsville Christian Church leadership has been wrestling with that very question for a number of months. For years, we've had a beautifully crafted mission statement. The problem was, that no one could remember it, much less recite it or communicate it to someone else. Campbellsville Christian Church exists to lead people to Jesus Christ, and a growing relationship with Him. That's it. That's the Great Commission fulfilled. (Matthew 28:19-20) The two most important things a church does is to lead people to Christ (evangelism) and to lead them to grow in that relationship (discipleship). For the church, if something doesn't lead to that end, then it probably isn't worth doing. 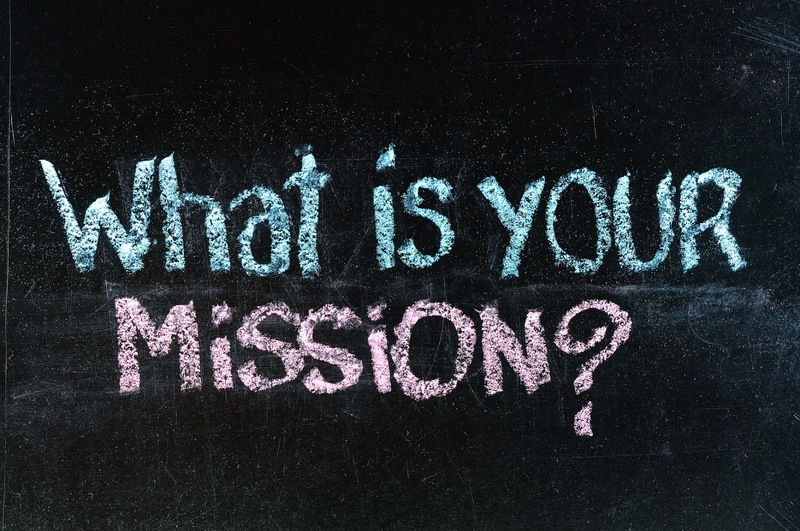 Then I asked myself, "What's is my personal mission statement?" What is my focus? There are many things I hope to do as a Christian, a husband, father, minister, and community member. Ultimately, I hope to leave a legacy that points to Jesus. I don't care if I am remembered; I do care that people remember Jesus. If the mission of the church is unequivocally, unwaveringly, unapologectically to lead people to Jesus Christ, and a growing relationship with Him, then shouldn't that be my personal mission as well? After all, I am a branch of the church whether I am in the building or not...and so are you. So, what's your mission? Do your day to day actions and attitudes agree with you? If not, what are you going to do about that? Well, here it is. 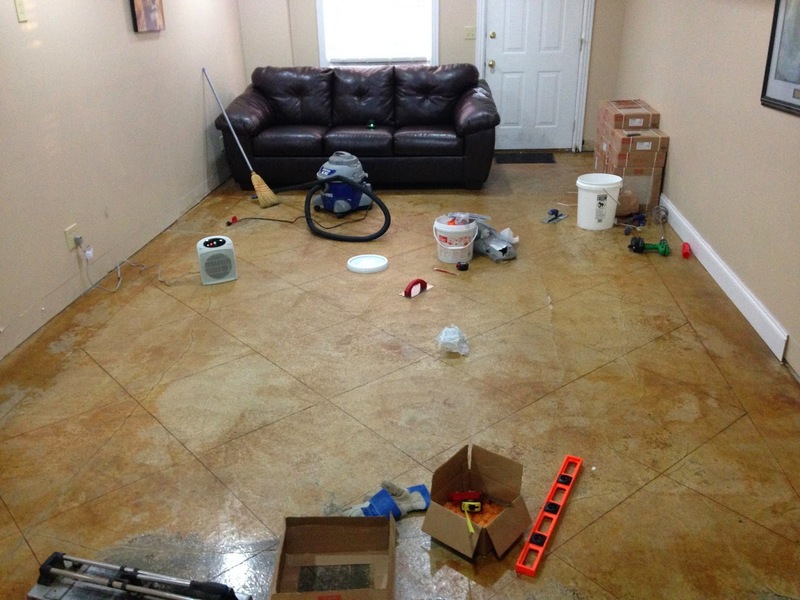 This is my basement prior to starting my recent home improvement project, tiling. We had a concrete floor that was stained and had a pattern cut into it. It was fine. It just wasn't what we had hoped for when we set out to finish the basement a few years ago. As I spent three weeks working on this project, I had a lot of time to reflect on many things. I won't bore you with a series of "things I learned while tiling," but I will do just this one. My friend, who does home renovations, advised me on how to get started and how to use patterns to divide the basement into two sections: the family room and the rest of the basement. 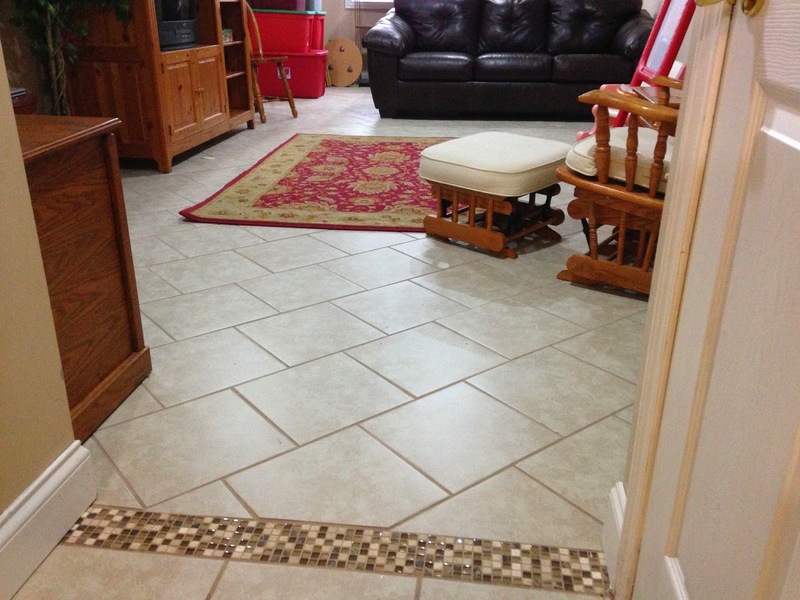 I have tiled before, but never this large of a space. 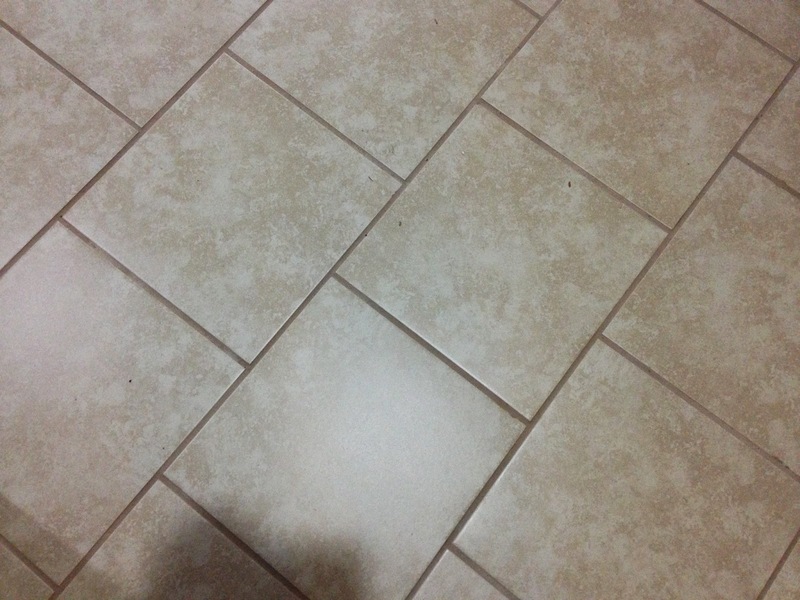 Anyway, I set out on the project and, with the help of my wife measuring and marking tiles, got the basement finished! 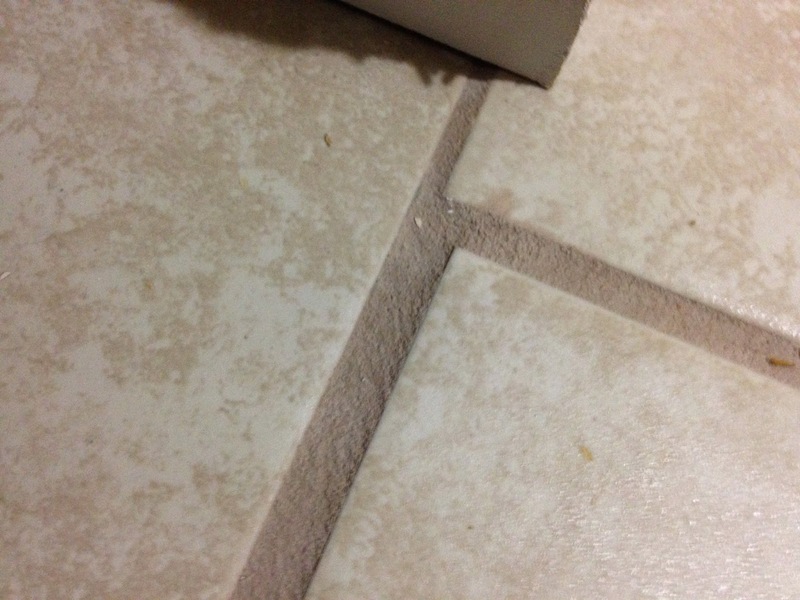 As I cleaned the tile, I noticed something....my spacing was off in some spots. "Oh no!," I thought. "I've messed everything up." I was so frustrated. I took the time, did the research, was careful in my cutting and I still failed. Then I stepped back to get a different perspective. You know what I noticed? It didn't stand out so much when I stepped back. I couldn't see it so clearly. I heard an illustration about a pebble recently. Basically the speaker said if hold a pebble 1/2 inch away from your eye, the pebble will completely obstruct your view. You will see nothing but the pebble. If you hold the pebble 18 inches from your eye, you will see that it isn't so big. However, if you'll throw it down onto the beach, you will see it for what it is...nothing more than a piece of dust. Remember, you are on a journey. Your current circumstances, good or bad, are part of your journey. Embrace them. God will sustain you through it all, and you look back and see something more beautiful than you could have imagined. I am probably posting this at the wrong time of the day. It's okay. I will set it to repost later tonight also. You know what has always bugged me to no end? Morning people. You know, those people who are so perky and bubbly and are awake before 8:00 AM? You know what else always bugged me about those people? They were the ones who would always tell me that the only time to have a quiet time (aka Bible Study and Prayer) was in the morning before everyone wakes up and the house is peaceful. They would even try to play the "Jesus card," saying that Jesus even had HIs quiet time with God in the morning. (See Mark 1:35) I could always fight that off because I am most certainly not the Son of God. "These people" would drive me nuts. Gag. I am most decidedly not a morning person. I'm not a late night person either. I'm a mid afternoon guy. An early quiet time has never worked for me. Journaling has never worked for me. However, and this is the most frustrating thing, mid-afternoons were never consistent enough to work for me either. So, at the end of the day when I am about to crash, I would reach for my Bible or devotional book, when I would remember. I would read it and start to pray, most of the time falling asleep before I ever got into anything significant. Honestly, "these morning people" never shoved it down my throat, nor were they trying to make me feel guilty, I just simply knew that my time with God wasn't what it should be and I was attempting to deflect my conviction and guilt by pointing out how annoying those people were. Recently, a perfect storm of things happened. I've mentioned them recently and will finish writing about them next week. First, I had to tile my basement. I had time to do it and needed to get it done two years ago. Second, the Winter Olympics. In this I was convinced there was nothing on television I couldn't live without and certainly nothing worth watching after 10:00 PM. And thirdly, I read an article by Michael Hyatt entitled "How to Become A Morning Person." I go to bed at 10:00 PM. As much as possible I try to lay out my clothes, get my coffee cup out, set my Bible out on the table, all the night before. I wake up an hour earlier. I get up at 6:00 AM. It makes sense, when I go to bed at 10, 6:00 AM doesn't seem so early. I had to overcome that mental barrier. I make my coffee. Apparently there is something to this. Quiet time with a cup of coffee makes everything a little easier. It's weird, but true. I have a companion text that I use as I study the Bible that includes questions. If you are interested in some resources, please contact me. There are some great ones, no matter where you are on your walk with Christ. I pray that God would speak to me and then I read the text for the day. So far, I've been able to get through Judges, 1 Peter, and now I'm in Romans. End with Prayer. I don't journal. It just doesn't work for me. I have a list. I have a long-term and short-term list. I add and remove freely from the short-term list. My long term list includes: my wife and children, other family members, some friends, the church, the church leadership, the church staff, our missionaries, and finally myself. Yours doesn't have to be that long. But make a list. Try it out. I dare you. *I tell you all of this not to brag, but hopefully encourage some of you who struggle with a balanced quiet time. You can do this. It's not that hard. Just a little determination is all it takes. 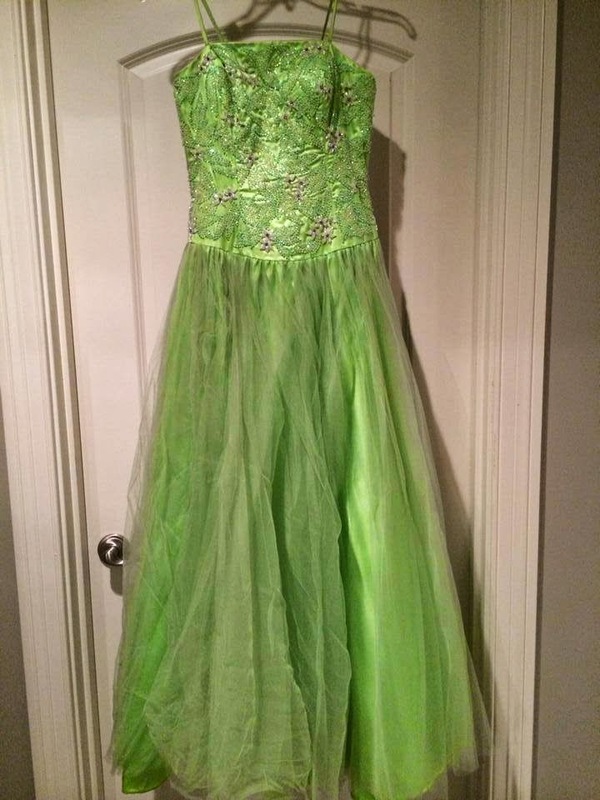 This past Saturday afternoon, Campbellsville Christian Church partnered with The Granted Grace Foundation to offer Prom Dresses free-of-charge to well deserving girls from across the region. The volunteers literally laughed, cried, and PRAYED with the ladies. For some of the girls, it was their first time praying or first time praying with their family. It was such a privilege to watch these girls get attached to the volunteers (and vice versa). Sometimes something as simple as a dress and a prayer can change the course of a person's life. I want to say thank you to all who donated dresses, served at the event, and prayed for the event. Moreover, I want to let this serve as a reminder that there is nothing too small or too large that God cannot use to share the Good News of Jesus Christ and the hope that He brings to this life and the life to come. If we walked each and every day with this mindset, imagine what God could do in our community and the world! Grilled Cheese, Oatmeal, and a Side of the World, Please. Most every major childhood memory has one consistent feature...what I was eating at the time. I love food. I have recently been reading through 1 Peter, which (for reasons beyond my comprehension) caused me to think about what I liked to eat as a kid. We've found salvation. It is good! Freedom from our sin, shame, guilt; freedom from fear of eternal condemnation is the best thing. We have tasted and seen that the Lord is good. Peter directs us to crave pure, spiritual milk. Pure: unaltered, as it should be. Not milk mixed with something else. Not Jesus mixed with something else. That list looks awful. When we place Jesus Christ alongside anything the world has to offer, we see it for what it is...not enough. Not satisfying. It looks ugly, doesn't it. The reason is because Jesus was not meant to be placed next to anything. Jesus was meant to be placed as Lord over everything. - Jesus is your everything. - Jesus is all you need. Abstinence Makes the Heart Grow Apathetic. If you know me, you know I like routine. 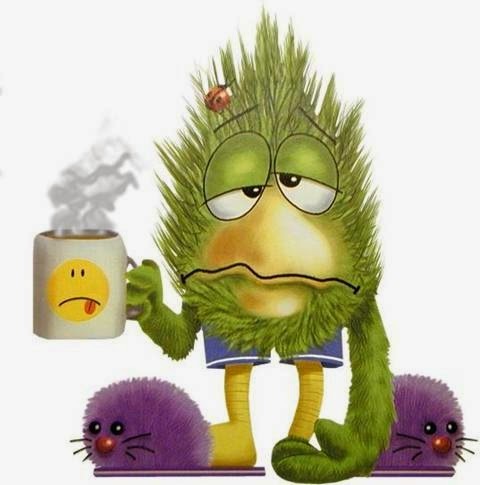 A couple of things have happened to me lately that caused a disruption to my normal routine. It may very well be unAmerican to say that I could not care any less about the Olympics. Not a big sports fan. I do find a few events entertaining, but I am unwilling to sit through hours of droning on and on about the difficulty of a triple sow cow or watching people dodge flags as they speed down a hill. Let's face it, the reason most of us watch that is so that we can see the occasional wipe out (hoping, of course, that no one is injured, but the wipe out is no less spectacular!). Anyway, as a result of the Olympics, there has been absolutely nothing on television for two weeks straight. As a "routine" person, I have a slate of shows that I watch at certain times of my week. I don't like disruption. Not one bit. As I was tiling my basement floor I had a fair amount of time to think. You know what I realized? Not once did I think about missing a show; I actually realized that I could go without it. I don't watch any shows that are necessarily bad, but they aren't beneficial either. I've begun the process of deleting some timers on my DVR, not all of them, but some. It's only been a week and a half, but you know what I've noticed? I have more time. I have time where I can enjoy spending time with my family, taking with my wife, and more time to focus on what's really important (more on that next Wednesday). None of these seem to me to be undesirable. My question for you today is this: what is in your life that you don't need? What, if you eliminated it from your routine, would give you the margin in your life to to focus on the most important things? It's a process for me and will continue to be so for some time. I hope you'll consider joining me. I Am Guilty of Idolatry...And So Are You. Idolatry is often thought of as creating images, statues or pictures, that represent something other than God, of even God himself, and worshipping those. I've been studying through the book of Judges over the past month or so and have been reminded that idolatry is so much more. Tim Keller, in his book Judges for You, says "any graven image or depiction of God would automatically reveal part of God's nature but conceal another part1." In other words, when we create an image of God, even in our minds, we tend to focus on one aspect of God's character to the concealment of another. It's why we have trouble understanding how passages like Psalm 103:8: "The LORD is compassionate and gracious, slow to anger, abounding in love." 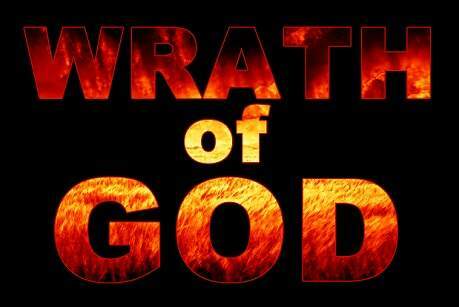 and Romans 1:18: "The wrath of God is being revealed from heaven against all the godlessness and wickedness of people, who suppress the truth by their wickedness. "can be compatible. We become idolaters by simply ignoring or avoiding aspects of God we don't particularly like or want to think about. That was the subject of the Sunday morning worship services yesterday morning. We love to talk about the love, grace, mercy, and forgiveness of God. These are all accurate aspects of God, but not complete. Keller writes, "God says: Worship me as I am, not as you want me to be, and worship me as my heart directs, not as your heart suggests.1"
Yesterday was a needed reminder to, as the Apostle Paul says in Ephesians 5, Wake up! Rise from the dead (old way of living) and be covered in Christ's light. God's wrath is real and it is coming. For those who have salvation in Christ, the call is for us is to take action, the world is waiting, needing the hope that you have. My perception was that people came yesterday expectantly. We were waiting on the Lord. We were not simply there to observe, but to engage. Worship led us to the throne room of God, grateful for all He has done, making Christ the cornerstone, making the weak strong through His love. The message reminded us that God does not take sin lightly, as we would prefer, but that (while He is patient and forgiving) He cannot be called Holy if He is not also Just. Judgment is coming. People responded. I'm not merely talking about the people who came forward. Decisions were made in the seats. People had an opportunity to listen and respond to what God was revealing to them. Conversations happened at the table that afternoon. And, I have a feeling, some much-needed conversations will be happening with those in your circle of influence as well. Finally, let me say that I am excited about the congregational vote next Sunday (March 9th) to vote on Joel Patton as our new Preaching Minister. I believe that God has put a solid team of people together for this time and in this place to accomplish His work. I love the people I work with. I love their hearts for the Lord and for ministry in His church. I think Joel will be a great addition to that team. That being said, let me remind you about a question/answer meeting with our Elders in regard to Joel coming on staff at Campbellsville Christian Church. This not being a "traditional" Senior Minister hire and also involving some significant changes in my role and responsibilities at the church, the Elders wanted to have a forum where questions could be answers and any concerns addressed. The leadership of C.C.C. want you to make an informed and prayerfully considered decision as possible. All the information will be discussed at the Congregation Meeting on Sunday as well. 1 Keller, T. (2013). Judges for you. The Good Book Company.